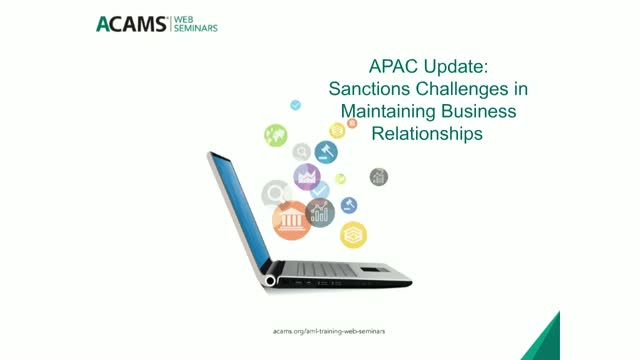 Despite increasingly strict and complex sanctions, financial institutions throughout the APAC region have are considering having business relationships with sanctioned nations such as Iran, Iraq and Myanmar. This webinar will provide attendees needed guidance on creating an effective sanctions management program and an updated, comprehensive compliance strategy for dealing with sanctioned nations. Industry experts will detail practical strategies to mitigate the risks and avoid potential penalties associated with doing business with sanctioned nations.